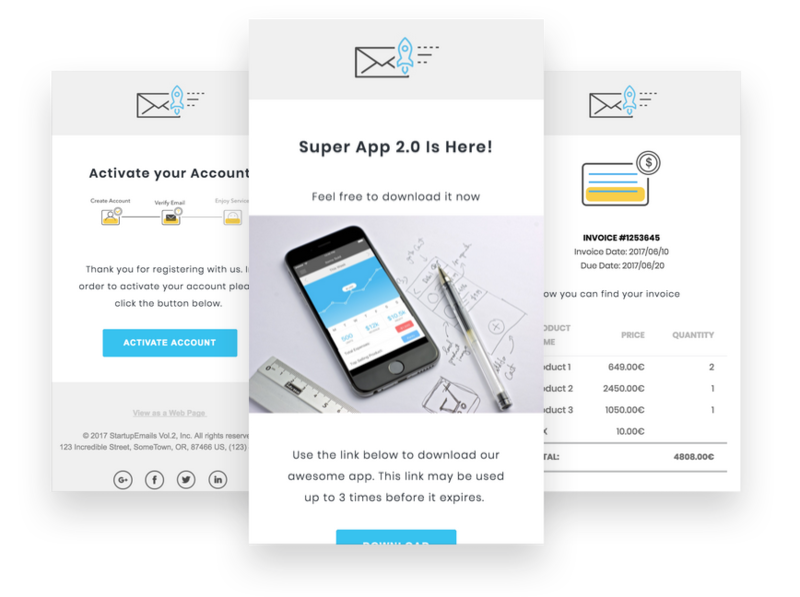 12 + 21 HTML Email Templates ranging from account activation to invoice. Fully responsive. Coding emails require special knowledge as all major email clients (GMail, Yahoo Mail, Outlook) render emails differently. According to statistics collected in 2018, about 48% of all emails are opened on mobile, 27% are opened on desktop and 25% use webmail. 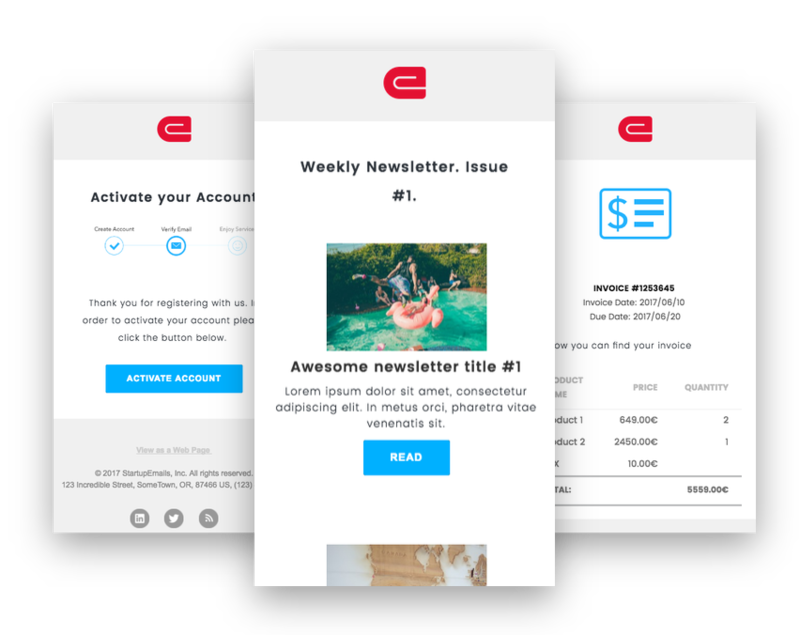 Testing is the most time-consuming in the process of creating email templates. More than 30 email clients and numerous email service providers.